Experienced in Residential, Commercial and Multi-Family Properties and New Construction. As a long time resident of Cumberland County, Jim is uniquely qualified to help fulfill your real estate needs. 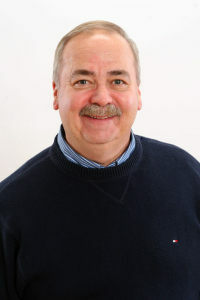 With over 20 years of real estate experience, Jim is a knowledgeable, dedicated professional. Jim is a veteran of the US Navy. Before getting into the real estate business, Jim taught diesel mechanics at the Cumberland-Perry Vo-Tech School, worked as a production engineer at Letterkenny Army Depot and operated his own kerosene heater/lawn and garden sales and service business. He received his real estate license in 1984 and has been involved in real estate transactions totaling over 90 million dollars. To keep abreast of the rapidly changing field of real estate, Jim has attended numerous seminars and courses in real estate appraisal, finance, marketing, real estate investments, ethics and fair housing laws and continues to take new courses each year.